The Expression line of consoles was produced for mid-range performance spaces, when they were supplanted by the Ion and Element console ranges. They run the same software versions (though a different actual file) to the Express consoles, but have a wider range of hardware (such as moving light encoders) and higher numbers of controllable dimmers. 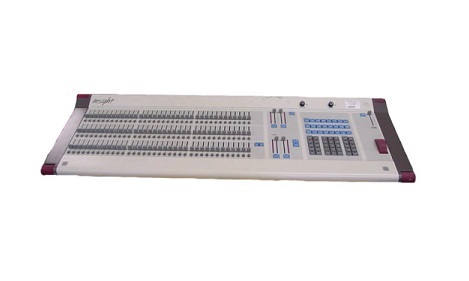 Insight consoles have identical functionality to Expression consoles but with higher fader counts, leading to lasting popularity in the film and TV lighting markets. Expression consoles support remote video output and DMX output from Net1 RVIs and RIUs, as well as ETCNet2 Video and DMX nodes running in Net1 mode.